Humpback whales are magnificent creatures. In the rural coastal community of Bahia Ballena, Costa Rica, humpback whales from both the northern and southern migrations visit to have their offspring and teach them how to swim. Each September since 2008, the community of Bahia Ballena has organized the Festival of Whales and Dolphins to celebrate these magnificent creatures. Each year, the Festival has increased in size. This year more than 5,000 tourists, over the course of three weekends, took boat tours out into the oceans for a chance to see these animals surfacing, and at times jumping out of the water. With the Festival growing in size and more people becoming aware of the event, Festival organizers wanted to understand where tourists were visiting from and if it was their first festival. Organizers already do community-to-community marketing with flyers and interviews on the national news programs. 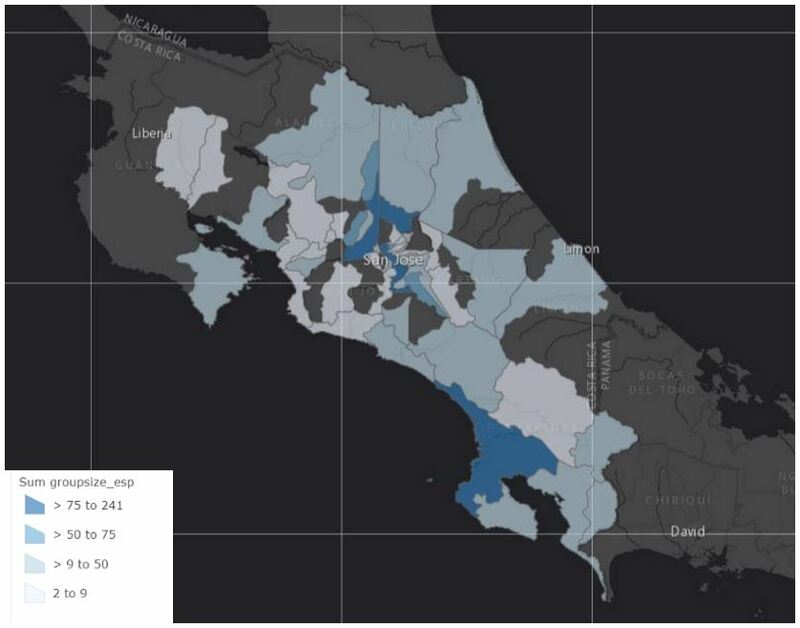 During the 7th Annual Festival of Whales and Dolphins in September of 2015, a small group of four high school students worked with Geoporter to map where tourists came from using Survey123 for ArcGIS. 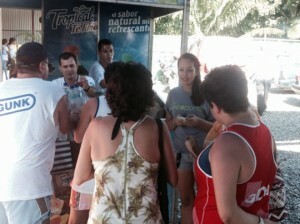 A simple survey was created in both Spanish and English to inquire where people came from, how many were in the group, if it was their first time at the Festival. 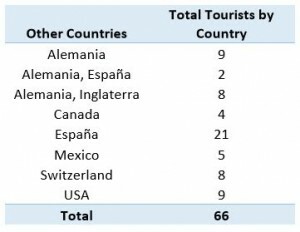 Where Did Festival Tourists Come From? A total of 292 surveys were conducted over 6 days. These surveys captured the location of 1,615 individuals. 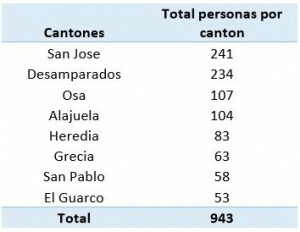 Of the 1,549 visitors from Costa Rica, they came from 81 different cantons, and 7 different provinces. A final report (English and Spanish) was submitted to the Organizers of the Festival for use for planning and marketing for 2016. Those who used Survey123 are developing other ideas to gather data that will help them better understand their community. This entry was posted in Ballenas, Events and tagged Festival, Festival de Ballena y Delfines, Festival of Whales and Dolphins, Mobile, Survey123 by geoporter. Bookmark the permalink.